I was born on this day twenty-some years ago. 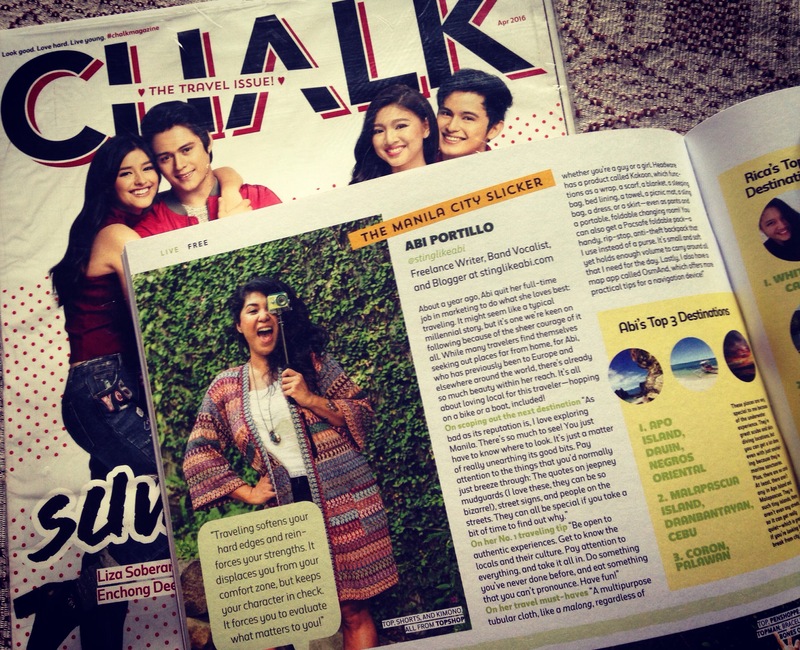 And look what I got: THE COOLEST BIRTHDAY PRESENT EVER; a half-page feature on Chalk Magazine’s April release, The Travel Issue. The last year was insane, in more ways than one. It’s been 11 months since I chose to overhaul my life, and it’s been a hell of a ride. This is a timely reminder that I’m doing the right thing. I’m more than ecstatic to start this next chapter; It’s looking like a huge, promising one. I want to thank everyone for supporting my ultimate goal to do revolutions around the earth, as I complete one more revolution around the sun. I’ve been swimming with the fish, and among the stars, and it’s been a pretty damn good life. I am nothing but grateful. This entry was posted in #LifestyleChange, Words and tagged birthday, personal, press, travel. Bookmark the permalink.